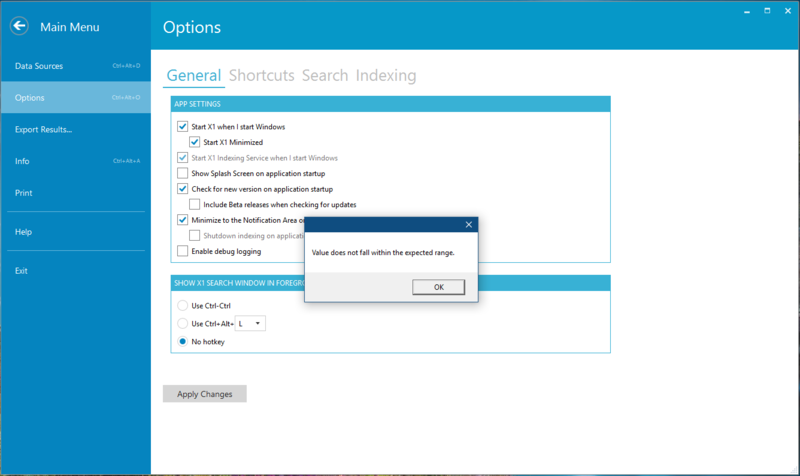 Error also occurs if I attempt to set X1 to start minimized. I have tried repairing installation, but no luck. Any ideas beyond uninstalling and reinstalling?